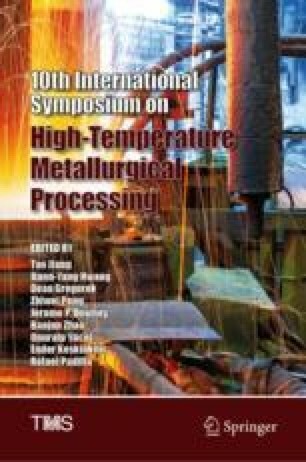 In this paper, metallurgical cokes containing different proportion of alkali carbonate were subjected to treatment with annealing under N2 temperature from 1100 to 1600 °C to investigate graphitization and metallurgical properties of coke. The annealed coke powder was characterized using weight method, I-drum tumbling, X-ray diffraction and optical microscope. The results clearly showed that the weight loss increased with the increasing of temperature. The Na2CO3 (or K2CO3) also effectively accelerated the weight loss. Combined with the crystallite structure, it could be shown that the La and Lc of coke increased with the increasing of temperature, while the d002 revealed the opposite trend. It could also be shown that alkali carbonates destroyed crystallite structure. From optical micrographs, it could be seen that the porosity of coke increased with the increasing of temperature. The large pores decreased while the micropores increased gradually which revealed that alkali carbonates destroyed pore structure. The destruction of potassium carbonate was more obvious. This work was supported by the National Natural Science Foundation of China (Grant No. 51474042 & 51774061) and the Fundamental Research Funds for Central Universities (Grant No. 106112017CDJQJ138801). The authors also acknowledge the support provided by the Fund of Chongqing Science and Technology (Project No. cstc2018jscx-msyb0988).